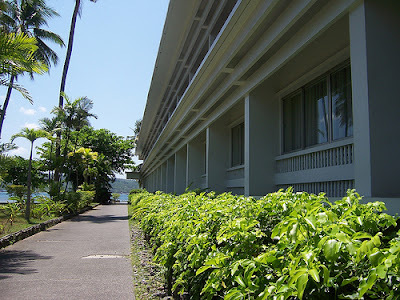 Waterfront Insular Hotel Davao holds a special place in my heart - not only because the Filipinana ambiance of the Hotel appeals to my nationalistic tastes, but much to the unforgettable fond memories of my childhood episode in a week-long vacation in the Hotel way back in 1969. I was 6 years old then. 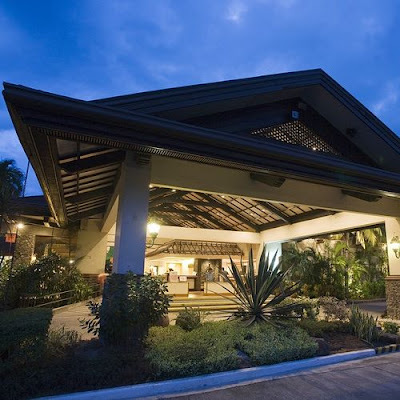 I recall, my father, in one of his business trips, tagged me along with my mother to Davao City and brought us to stay in Insular Hotel (It was what it was called then). 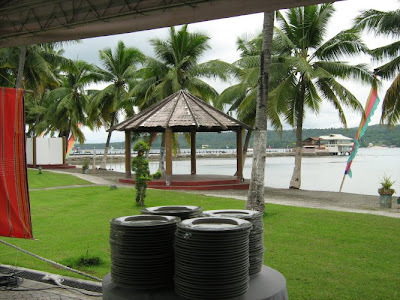 At that time, my father was vice president for operations to a Filipino-British claims adjustment company based in Intramuros, Manila, and part of his duties was to visit and inspect the many office branches located all over the Philippines, and one of which was Davao City where my father once held office as Davao branch manager for over two years before he was recalled and tasked to head the office branch in Cebu. 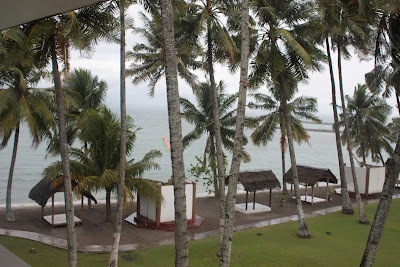 While I may now have very limited recollection of our week-long stay in Insular Hotel, I still remember, however, the warm reception extended to us by the staff during the entire duration of our stay in the Hotel. Little did I know that exactly 30 years later, in 1999, I would be assigned by my previous employer, to head the company's branch office in Davao City, under the same line of work, and capacity as that of my father, and occupy the very same Aldevinco Building in Claveria Street ( now called Claro M. Recto Avenue ) where my father held office in the 1950's, on the same floor but in a different room which was just right across the room where my father's office was located. Was it coincidence, or destiny? 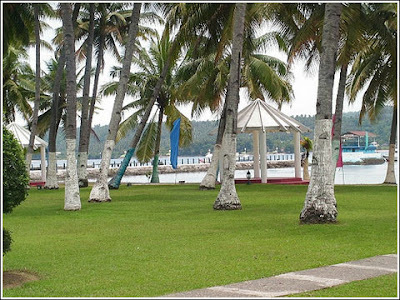 Be that as it may, let me now feature the present Waterfront Insular Hotel Davao as it stands today. 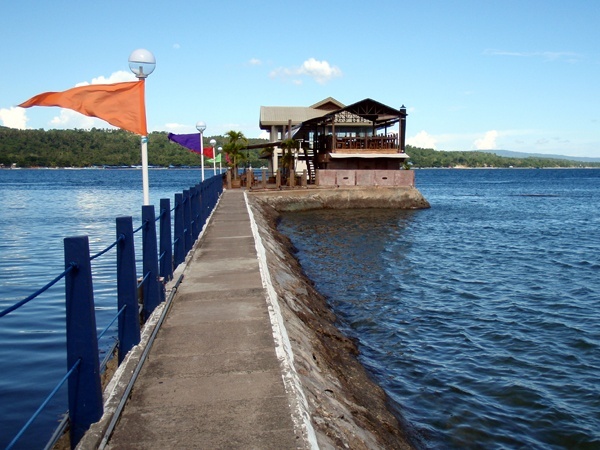 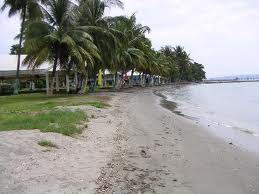 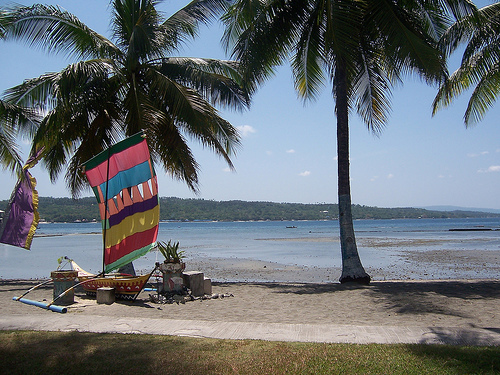 The Waterfront Insular Hotel Davao is located in a secluded, but very accessible area in Davao City along the picturesque coastline of the Gulf of Davao. 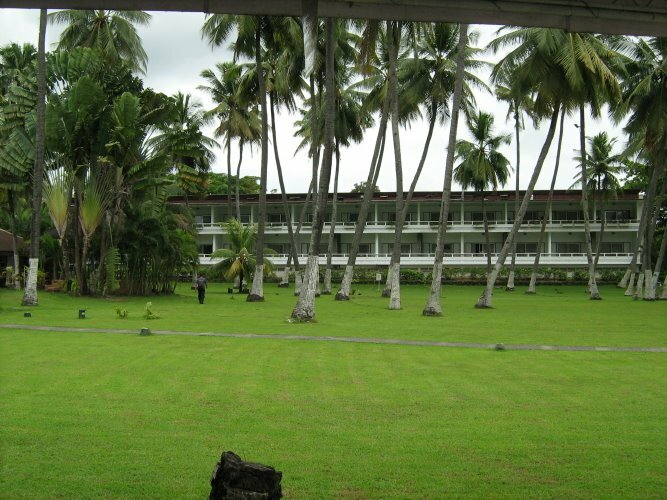 The Hotel was built in 1968, and was recently renovated in 2008 under a new management. 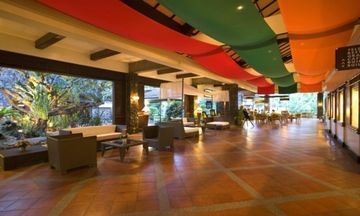 The Hotel's tropical-inspired design and setting on a modernized Filipiniana interior with its many luxurious facilities and amenities assure its guests with a comfortable stay and an enjoyable experience in the Hotel. 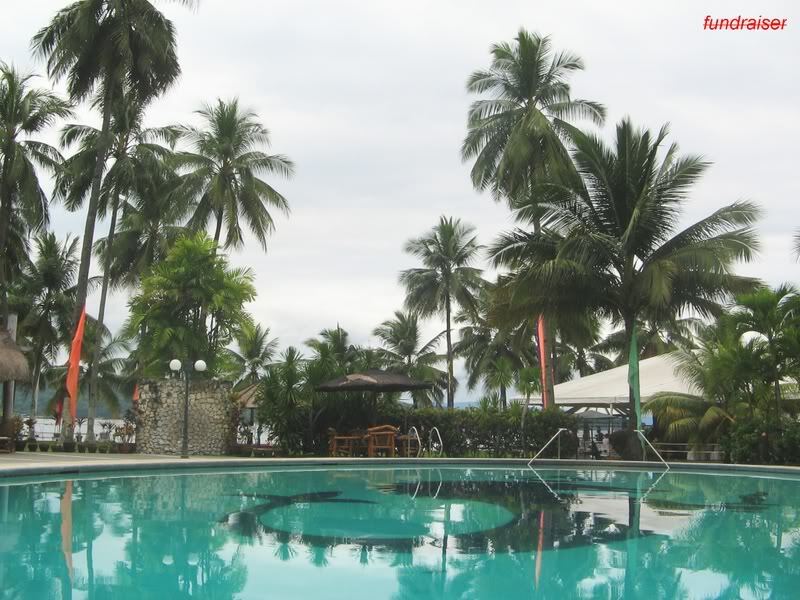 It is a 4-Star Hotel that has 159 rooms: from standard rooms, superior rooms, deluxe superior rooms, deluxe pool view rooms, junior suites, to executive suites, and presidential suites, each with a breathtaking view of the Gulf of Davao and nearby islands. 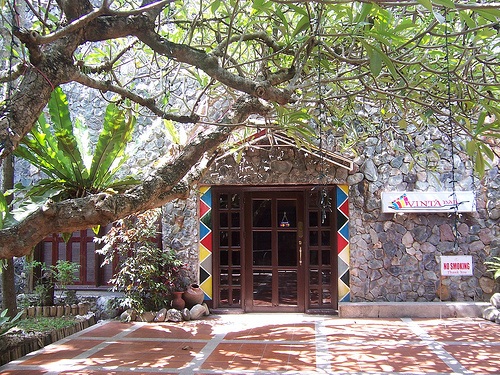 All the rooms are designed to provide maximum comfort and ease to its guests and visitors with its individual temperature controls, bathroom fixtures, refrigerators, mini bars, coffee and tea makers, cable televisions, International and National Direct Dialing telephone services, and Internet access. Amenities include: dining and entertainment facilities, banquet facilities, a business center, conference and meeting rooms, laundry and dry-cleaning services, sports and leisure facilities, and an outdoor swimming pool. 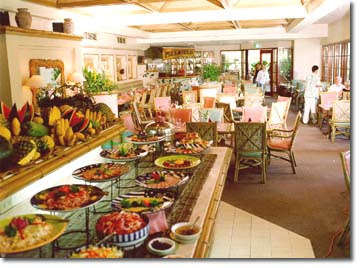 The Hotel staffs are multilingual, and provide a 24-hour room service. 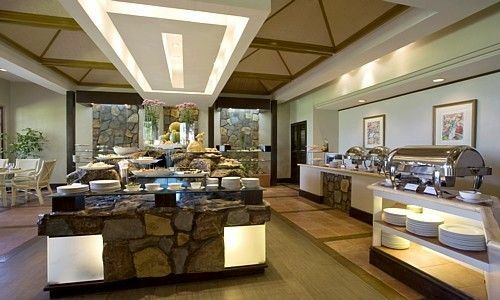 The guests are served with an inclusive buffet breakfast every day. Below are some interesting features of the Waterfront Insular Hotel Davao. 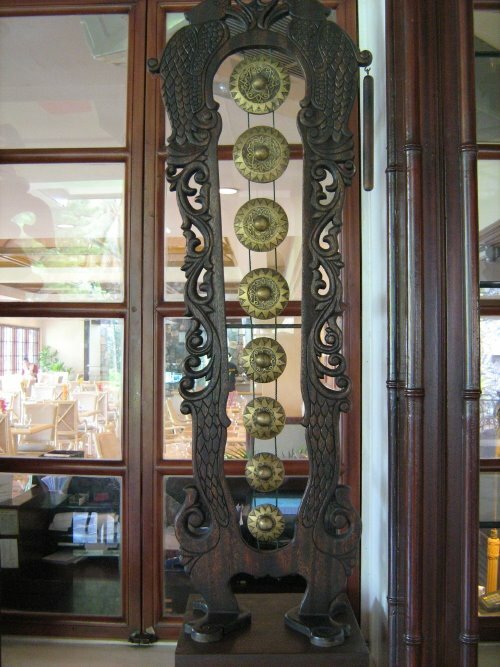 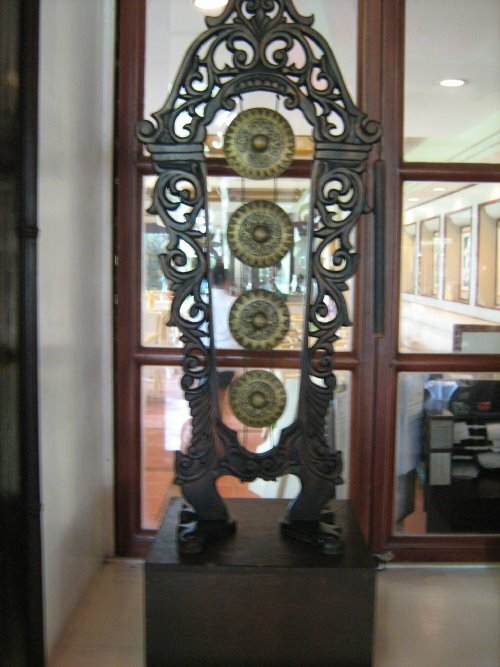 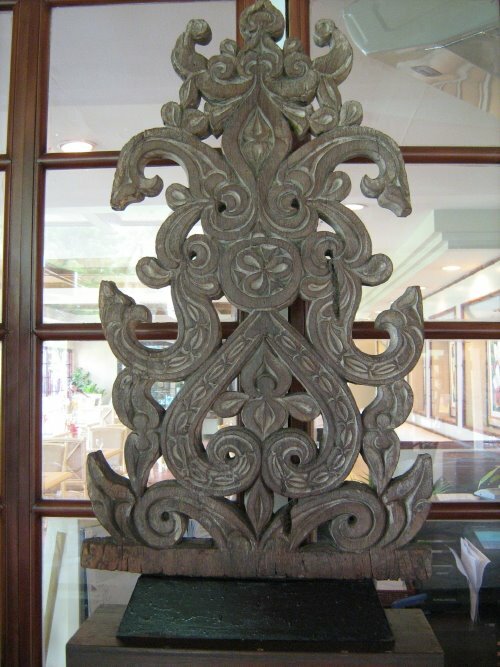 The Waterfront Insular Hotel Davao houses a collections of several priceless pieces of relics and artifacts of various objects d'art from the different ethnic tribes of Mindanao, such as tribal handicrafts, musical instruments, potteries, jars, and vases, displayed at the hotel lobby. Most of the sculptures and carvings date back from ancient times. The Maranao Drum is a kind of musical instrument made of wood, used by the indigenous tribes in Mindanao, and is usually associated with Southern royalty. 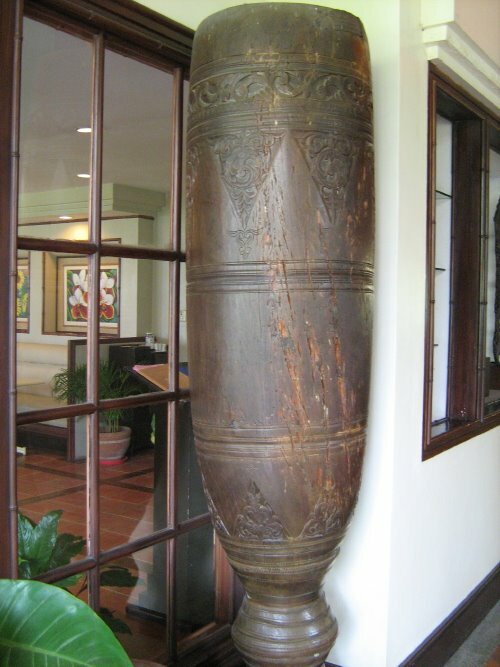 These rare collection of small brazen gongs emit beautiful sounds when hit by a striking instrument. 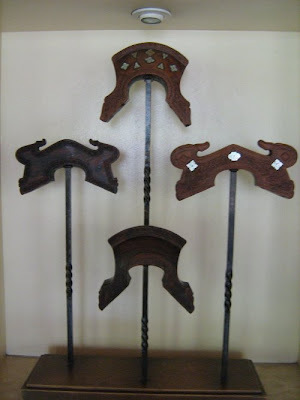 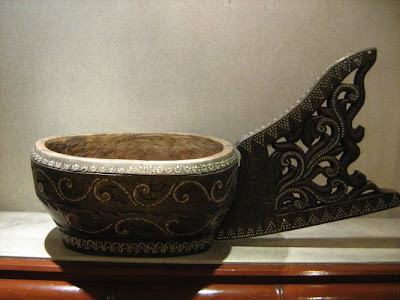 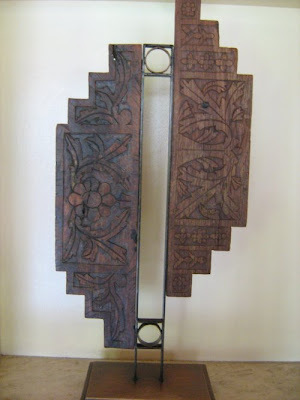 The large ones (below) are used by the Muslim royals to call the attention of servants, families, and even the entire clan, while the smaller ones (above) are usually used for display and musical purposes as well. 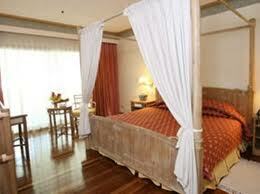 The Hotel has a total of 159 luxurious suites designed to give maximum comfort and ease to its guests. 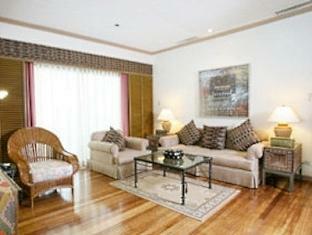 The Presidential Suite is a three-room suite with 3 balconies that afford a view of the Davao Gulf. 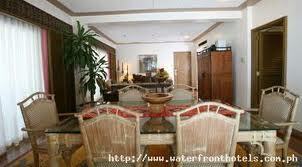 It has a wide entertainment area, spacious dining and receiving areas, and a kitchenette. 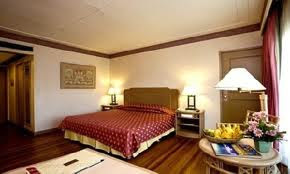 Each suite is fully air conditioned with individual thermostat control; complete with bathroom fixtures, including a king-sized bed, refrigerator, well-stocked mini bar, coffee and tea maker, cable TV, a telephone extension with International and National Direct Dialing services, and Internet access. 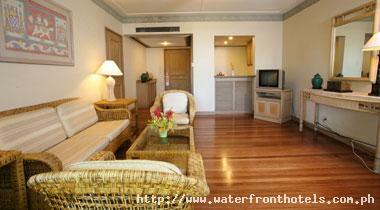 Executive Suite is a room with two balconies that afford a view of the pool. 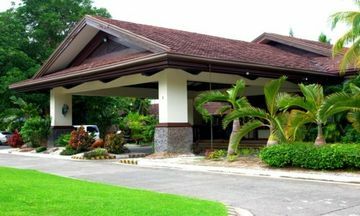 Each suite is fully air conditioned with individual thermostat control; complete with bathroom fixtures, including a king-sized bed, refrigerator, well-stocked mini bar, coffee and tea maker, cable TV, a telephone extension with International and National Direct Dialing services, and Internet access. The Deluxe Pool View Suite is a room with a veranda view of the pool. 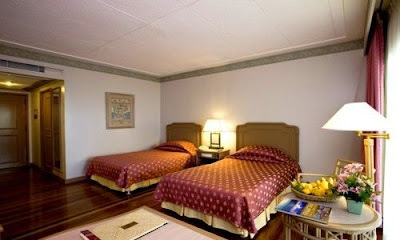 Each suite is fully air conditioned with individual thermostat control; complete with bathroom fixtures, including a king-sized bed, refrigerator, well-stocked mini bar, coffee and tea maker, cable TV, a telephone extension with International and National Direct Dialing services, and Internet access. 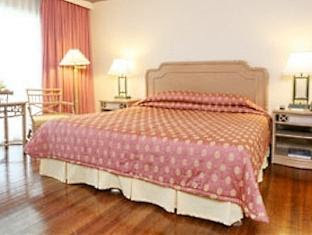 The Junior Suite is fully air conditioned with individual thermostat control; complete with entertainment and dining areas, including bathtub and toilet fixtures, a king-sized bed, refrigerator, well-stocked mini bar, coffee and tea maker, cable TV, a telephone extension with International and National Direct Dialing services, and Internet access. 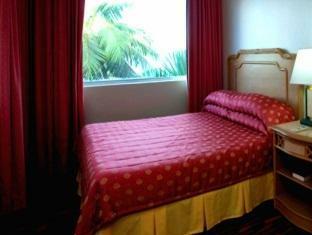 The Superior Room is fully air conditioned with individual thermostat control, furnished with light wooden furniture, complete with bathtub and toilet fixtures, two king-sized beds, a refrigerator, well-stocked mini bar, coffee and tea maker, cable TV, a telephone extension with International and National Direct Dialing services, and Internet access. Building III of the Hotel is where we stayed in 1969. If my memory serves me right, it was somewhere on the second floor where we took our lodging for a week. 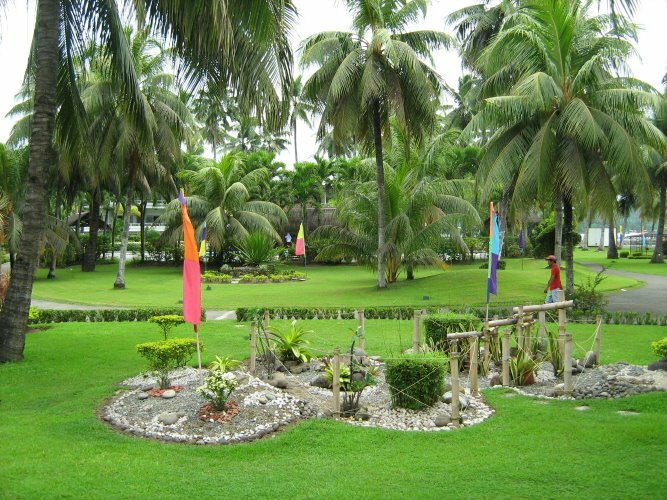 The panoramic view of the Hotel's beautifully landscaped garden of manicured grass, and tall coconut trees, as well as the clear blue waters of Davao Gulf from the balcony is a sight to behold. Artistically formed images of men, women, children, and even animals out of garden plants, and incorporate a touch of cultural elements to them, enrich the images themselves. 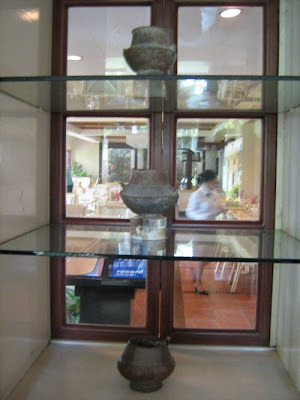 These images are popular sights in the Hotel, and the Garden is one of the favorite spots for photo shoots. 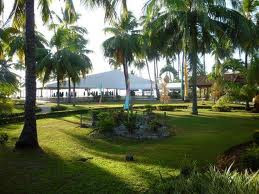 There used to be a huge mound of soil covered with Bermuda grass somewhere in the Garden where, in 1969, a photo of me, comfortably seated on top of it, was taken by one of my father's business associates whose name I could no longer recall. 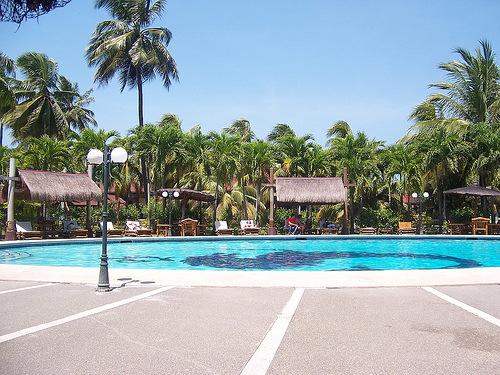 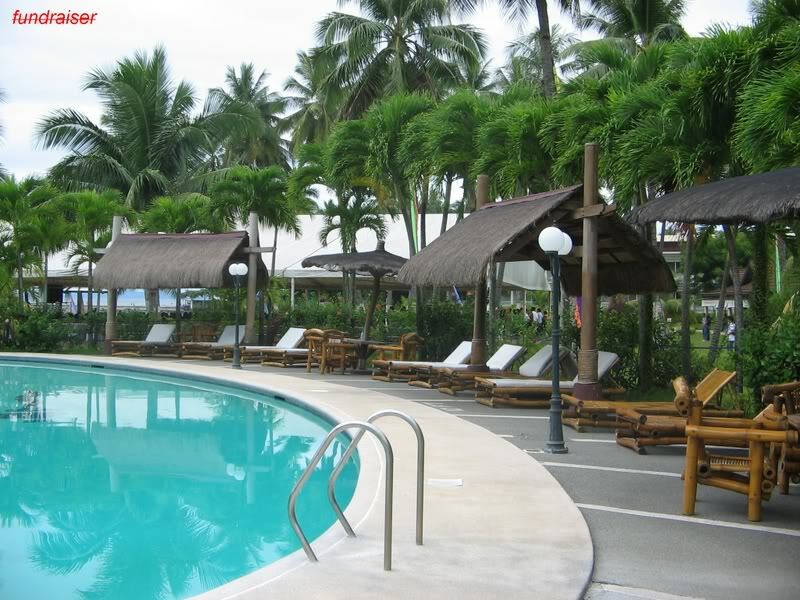 The pool sits right in the middle of the cabanas in a tropical landscape, amidst lush gardens and towering coconut trees ,and provides a stunning view of the beach and the Gulf of Davao. The tuba or coconut wine extracted from the tree every morning is given for free to hotel guests. 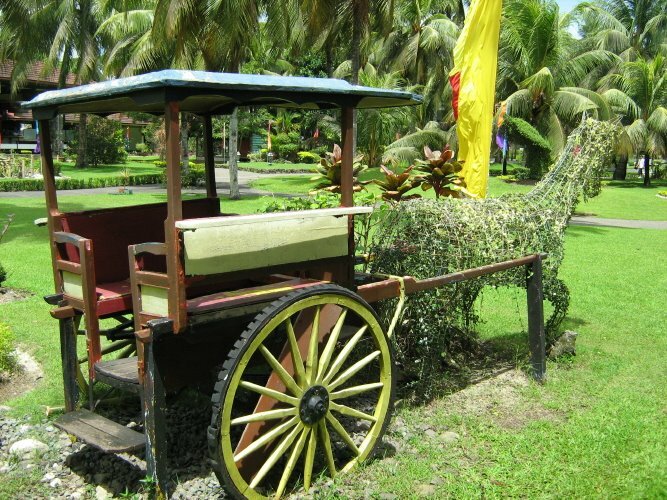 The Vinta is a small, age-old watercraft used by the indigenous peoples of Mindanao for travel and fishing, and is one of the many items on display at the garden. 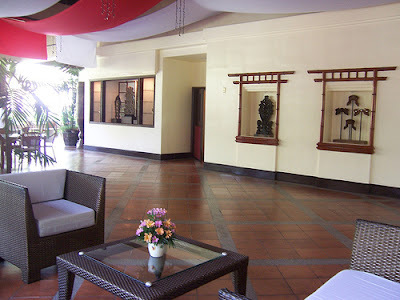 The Hotel has five restaurants, tastefully designed to give an ambiance of comfort and ease to its guests. 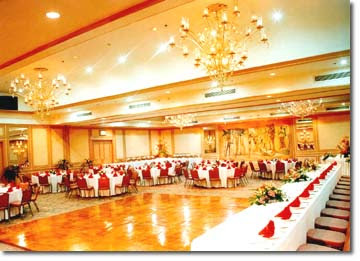 I used to wine, dine, lunch, and meet with clients in these restaurants. The food is great, and most notable of all is their awesome personalized service. 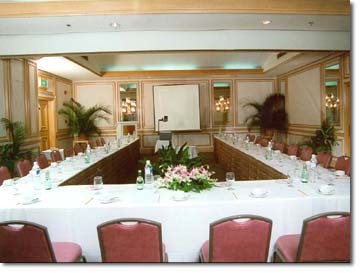 I was treated like a king, and the Hotel never failed to extend me and my guests such warm regard. Cafe Uno is located in the lobby, and serves a lavish breakfast and lunch buffets, and Ala Carte daily. It is open from 6 am to 2 pm. 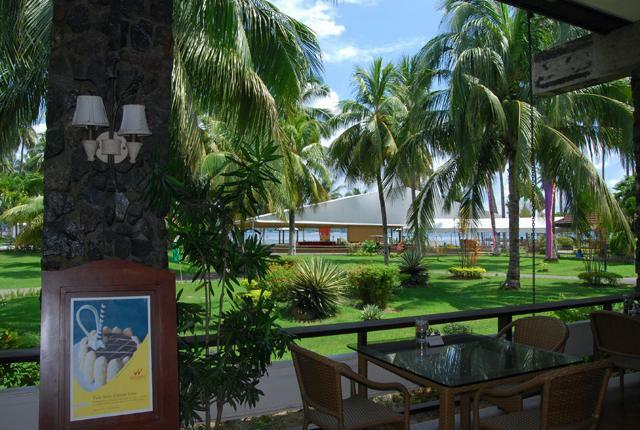 La Parilla Grill and Restaurant is where guests can relax and savor the aroma of grilled fish. 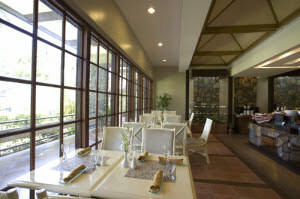 It features a wide array of choices of good food, with soothing music for ultimate relaxation playing in the background. It is open from 5 to 11pm, Tuesdays to Sundays. 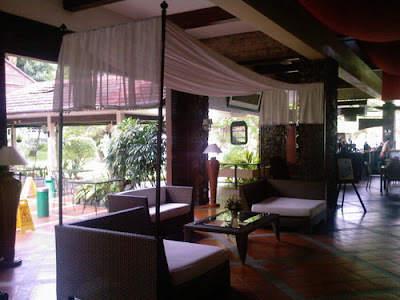 The Vinta Bar is located at the lobby and a very good place to relax over cocktail. It is open from 6 pm to 1 am. 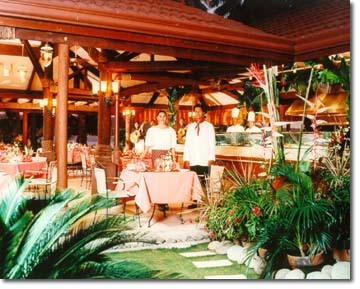 The Pirata Bar is a dining venue with al fresco setting. 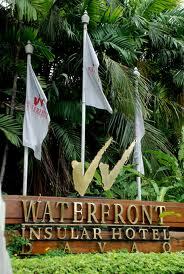 It is located near the Hotel's jetty, and is open from 5pm to 12 midnight. 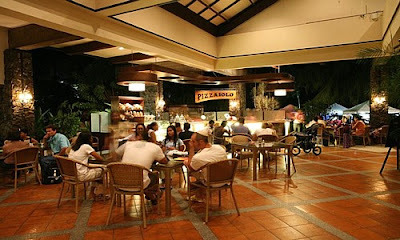 The Pizzaiolo is located at the lobby lounge and serves good pizza. 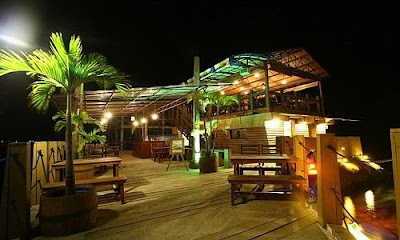 It is open from 6 am to 11 pm. 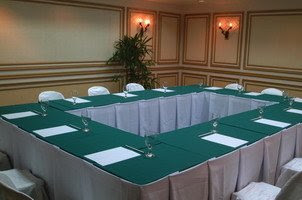 The Hotel also features several function rooms and a garden tent suitable for business and social events such as, conventions, seminars, product launches, debuts, parties, weddings and other important occasions. 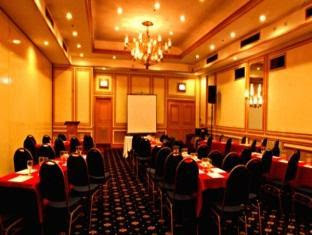 The Hotel has a number professional events coordinators on-call to assist clients and guests to their requirements, and make every event a success. 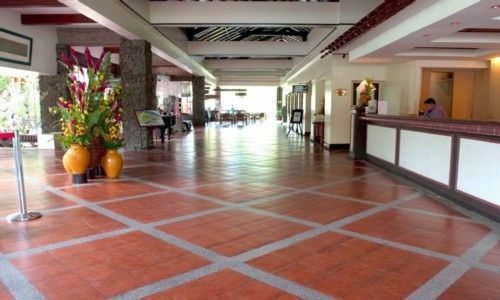 The Hotel is also fully equipped with a business center with round-the-clock secretarial services, airline reservations and ticket purchases for the busy business travelers. 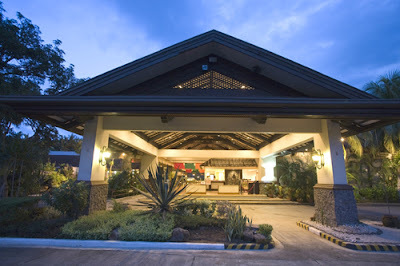 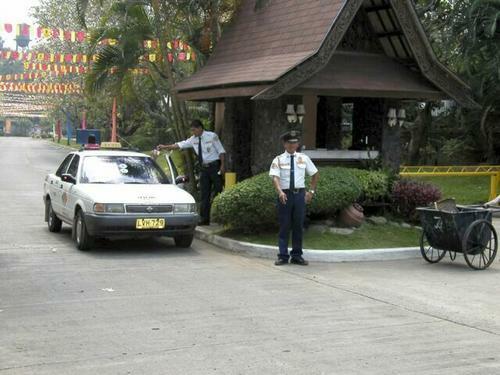 Waterfront Insular Hotel Davao is about 15 minutes taxi ride from the Davao International Airport in Sasa, Davao City.